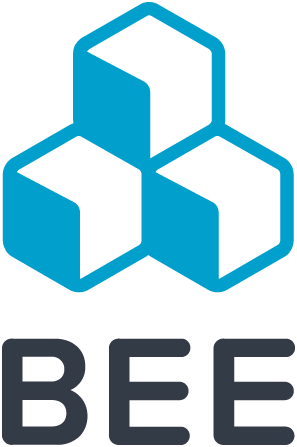 We have a shiny, new BEE Plugin technical docs site. You can find a new version of this page here. Parameter What it does Required? An alphanumeric string that identifies the user and allows the plugin to load resources for that user (e.g. images). Learn more about the UID parameter. Can contain letters from a to z (uppercase or lowercase), numbers and the special characters "_" and "-"
autosave Integer that defines every how many seconds the message should be auto-saved. Minimum value: 15. No, defaults to "false"
language 4-letter language identifier (e.g. "en-US"). No, defaults to "en-US"
preventClose Whether an alert should be shown when the user attempts to leave the page before saving. No, defaults to "false"
roleHash Identifies the user role (see roles & permissions). No special characters such as "_" and "-"
In addition, you can specify functions to handle saving a message, saving the message as a template, sending a test, and handling errors. The top toolbar displayed by default within the BEE editor contains buttons that trigger certain actions. These are the callsbacks that are triggered when the buttons are clicked. onSave: caught when the Save button is clicked. Returns JSON and HTML documents. onSaveAsTemplate: caught when Save as template is clicked. Returns JSON document. onAutoSave: called by BEE automatically based on beeConfig.autosave value. Returns JSON document. onSend: caught when the Send a test button is clicked. Returns HTML document. onError: caught every time an error occurs. Returns error message. If you use a paid plan, you can hide the top toolbar and control the editor from your application's user interface. For example, it's up to you at that point to have buttons above or below the editor. Display a preview. Use the beePluginInstance.preview() method to trigger the message preview behavior within the editor. Show/hide the message structure. Use the beePluginInstance.toggleStructure() method to control the visibility of the structure outlines in the message editing portion of the editor. A JSON file - the structure of the message. Store it to allow for later editing of the message. An HTML file - the ready-to-send version of the message. Save the JSON template. Use the beePluginInstance.saveAsTemplate() method to save the JSON of the message via the onSaveAsTempate callback. Since the JSON is not parsed to obtain the HTML, this is much quicker than the save() method. Send. This is typically used to send a test message. Use the beePluginInstance.send() method to trigger the "Send test" action and invoke the onSend callback. It returns only the HTML version of the message, so you can display a "Send a test" user interface and send it. Next: learn how you can extend the editor, loading custom merge tags, for example (e.g. to start a message with "Dear John," instead of "Dear customer"). How do we notify bee builder that content is saved and stop showing alert that 'Changes you made may not be saved'. Hi anurag, you must unload the editor removing to from the DOM. Hi Antonio, the save as template method does not return the HTML, but you can use the other methods to receive both files. I am looking to purchase BEE Pro and also embed the editor in our app, but need to know if it's possible to customize the action of the Save button. We need to send the html and json to our app directly, rather than being downloaded to the local client. Is it possible to point the Save action to code on our servers? How to reload beeConfig in Bee Plugin without refresh? Hi Jefferson, could you provide more information on the use case? Estou utilizando o Bee Plugin em meu projeto. Preciso inserir mergeTags no momento em que eu estou editando um layout, mas pelo que entendi, o Bee Plugin não faz isso, apenas o Bee Pro, correto? Tenho um form que insere mergeTags via ajax, na minha base de dados. Portanto, gostaria de atualizar as configs do Bee sem ter que recarregar o layout e consequentemente o plugin, porque assim eu não perderia minhas edições no layout. Apenas preciso recarregar as mergeTags em meu layout sem dar refresh na tela. Pode ser que o Bee tenha algum componente que permita fazer isto, mas pesquisei e não encontrei. Apenas no Bee Pro. BEE Pro uses the plugin itself, so all the editing capabilities are available for the plugin customers. Merge tags are passed to the editor when it starts and may change each time the editor is launched. If you're interested instead in adding new merge tags while the editor is running, this is an option that we plan to introduce soon with a 2 directions communication improvement that will allow an application to open selection dialogs for merge tags, links and more.